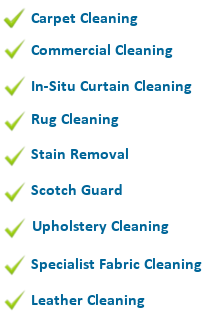 curtain and upholstery cleaning services in Bognor for over 25 years. Clean for an unbeatable local service with the personal touch. 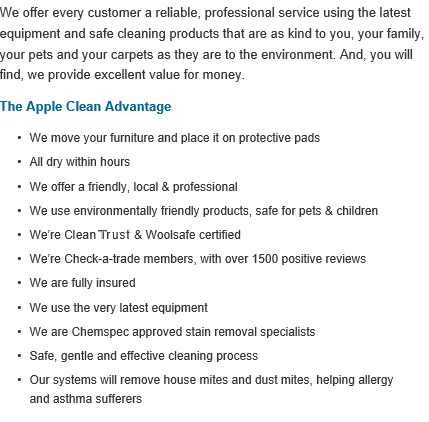 Apple Clean offer the highest levels of service in cleaning to homes and businesses across Bognor Regis and the South East. Our team of professional and courteous cleaning technicians are experienced within all fields of specialist cleaning and our carpet cleaning service is a specialty. Using the latest high tech industrial cleaning equipment Apple Clean can come to your home or business to completely transform your carpets, breathing new life into your floor. By removing dirt, dust and grime we not only prolong the life of your carpets but we also provide a cleaner, safer environment for all, reducing the amount of allergens released into the air. Across the Bognor area, Apple Clean work with businesses and homeowners and we’re proud to have received exceptional recommendations on Check a Trade. To find out more give us a call or fill in the form on the right to request your free quotation with Jonathan today. 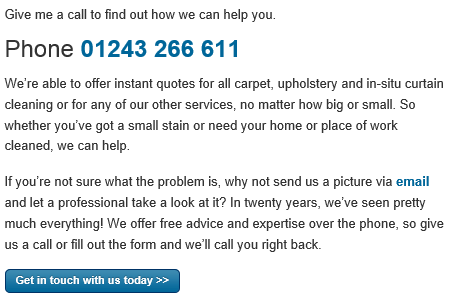 We are one of the most highly reviewed carpet cleaning companies in the Bognor area on checkatrade.